We attended church with the Williams this morning. 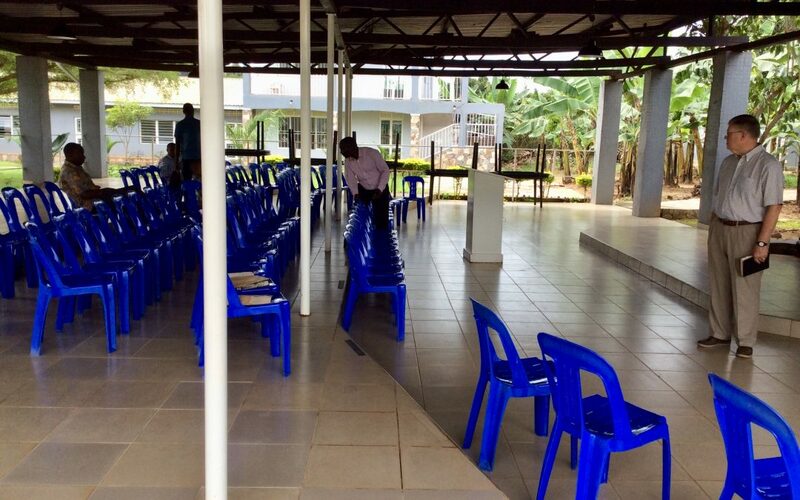 New City, a relatively new mission church of the New City Church that meets at ABU, holds their services at the campus of the African Reformation Theological Seminary. 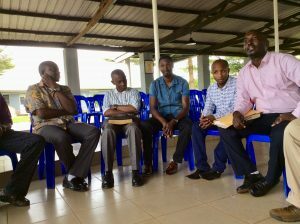 The young male students who were there this morning come from several other countries in Africa like Burundi, Rawanda, South Sudan and the Congo. A large part of the student body were away for a two-week break. The seminary has around 55 students and is run by a former MTW missionary. Very impressive, well spoken young men who have so much appreciation for the education they are getting. We really enjoyed the worship service, the order which was very similar to what we are used to. We spent a good half hour singing hymns and choruses that were very familiar to us, unlike the lively music of the other churches we’ve visited here. 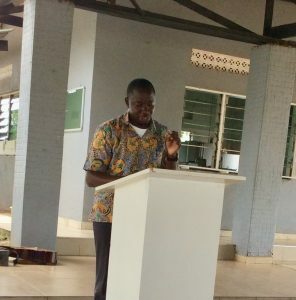 The seminary students took part in leading different parts of the service, and one of the professors, Henry Lubega preached on James 1:1-8. The most impressive part was the children. We were told that they have around 50 children in their Sunday school when it isn’t holidays, but today there were only about 20. 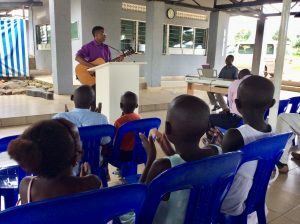 The children are dismissed for Children’s church before the sermon but, before the benediction, the children come back and recite 10 Catechism questions in front of the congregation. They do this every Sunday. Most of these are children from the area around the seminary, sent to church by parents who do not come. Their faces were full of joy and smiles as they impressively recited. They are surely hiding God’s truth in their hearts! The rest of our Sunday has been spent resting from the past two incredibly busy weeks.